Why should I look to supplement my retirement? Annuities can be a major component of your retirement savings plan. Annuities allow you to save money on a tax-deferred basis, so that all of it is able to work for you, not just a portion. No taxes are due until the point that you start to withdraw your money, which is generally years later. When you're ready to receive income (usually in retirement) annuities offer you a variety of income options, highlighted by a guaranteed income that you can never outlive. In addition, if you die before income payments start, many annuities provide a death benefit that guarantees your beneficiaries will never receive less than the initial premium contributed to the contract, less any withdrawals or fees. 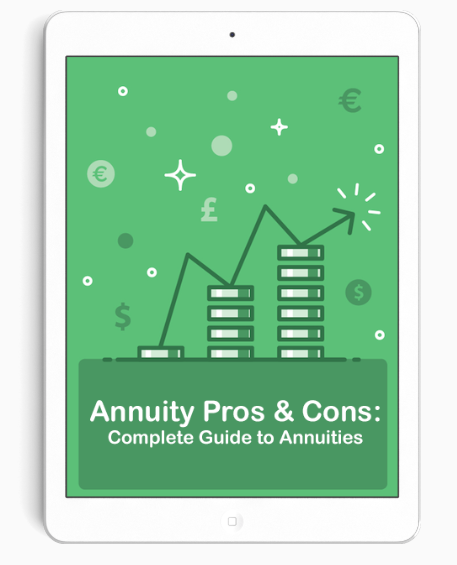 There are two major types of annuities. One is a deferred annuity, a type of long-term personal retirement account. These allow you to save and invest on a tax-deferred basis with an option to receive a stream of income at a later date. The other is an immediate annuity, which offers regular income payments right away or within a short time afterward (typically within 1 month). Keep in mind that deferred annuities are long-term retirement vehicles. Withdrawals of earnings from a deferred annuity are subject to ordinary income tax and may be subject to contract withdrawal charges. Because deferred annuities are designed specifically for retirement, withdrawals made before age 59½ are generally subject to a 10% tax penalty. Below are illustrated the main reasons that you should consider supplementing your retirement income. Social Security and pension may provide less than half of a typical retiree's income needs. Social Security accounts for just 38% of the total income for retired people with incomes of $31,000 or more. In October 2000, the average Social Security check for those ages 65 or older was just $815 per month. Therefore, Social Security and Pensions provide only a fraction of what you may need. People are living longer, which means your retirement assets may need to last 20 to 30 years, or more. To maintain your purchasing power, your assets need to grow equal to, or faster than, the rate of inflation. Even if inflation averages just 4% per year, your purchasing power may be cut in half in almost 20 years. Annuities are the only vehicles that provide the retirement income options that can protect you from outliving your assets. Annuities can complement your other retirement plans by offering the benefits of tax-deferred growth, retirement income options and flexibility. Variable deferred annuities also offer investment choices and beneficiary protection in the form of a guaranteed death benefit to help you build extra retirement income. An important benefit of annuities is tax-deferred growth. Tax deferral means that you do not pay taxes on your earnings until you withdraw your money, usually at retirement. At that time, only your earnings are taxed. Because your earnings are not reduced each year by taxes, they can compound faster. Over time, tax-deferred compounding of your investment returns can provide a greater growth potential than a similar investment that is taxed every year. Tax deferral is an important benefit if you are purchasing an annuity. Unlike with a non-qualified annuity, the Internal Revenue Code provides tax deferral for all IRAs so there is no additional tax benefit obtained by funding an IRA with a variable annuity.